The HRD Ministry has decided to shift around 600 students of the NIT-Uttarakhand to the institute’s Jaipur campus. The decision in this regard was taken by the HRD ministry following protests by students of NIT in Uttarakhand demanding a safer campus. Currently B-Tech students of first, second and third year will move to NIT-Jaipur, which will be NIT-Uttarakhand’s satellite campus for three years. These students moving to Jaipur will get their degrees from NIT-Uttarakhand. 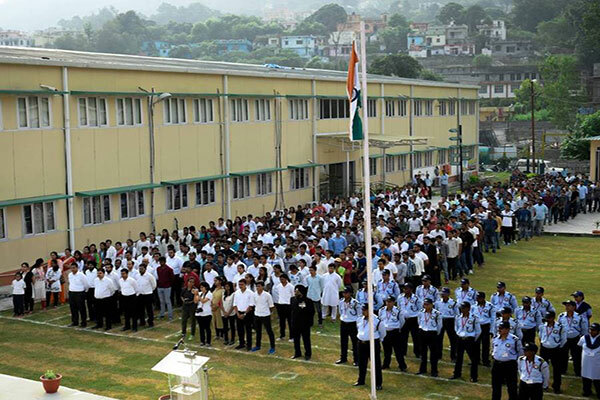 Over 900 students of the institute in Pauri Garhwal’s Srinagar had left en masse for their homes to press for their demand that the institute be shifted from its present unsafe location along the National Highway 58 to a permanent campus. The institute’s temporary campus in Uttarakhand comprises two clusters. The hostels and classes are located on the government polytechnic campus while the administrative buildings and laboratories are located at the government Industrial Training Institute (ITI) located 400 metres away. Three B.Tech students had met with accidents while commuting from one cluster of the institute’s temporary campus to another along the highway.